Originally published in Shelf Awareness for Readers. Reprinted here with permission. If you don't already receive it, sign up here to receive a bi-weekly dose of readerly goodness in your inbox. Mancreu, formerly a British colony, is doomed: a political committee has determined that the small island must be burned in order to protect the international community from the bursts of toxic chemicals Mancreu emits. 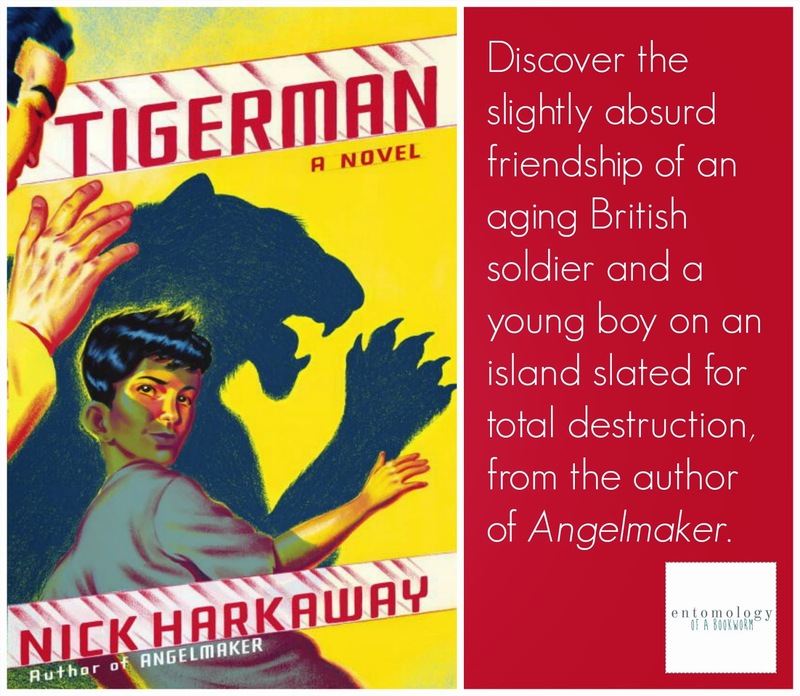 Nick Harkaway's third novel, Tigerman, introduces aging British Army Sgt. Lester Ferris into this strange island. After a difficult tour in Afghanistan, Lester is assigned to Mancreu to serve as the military presence until the island's destruction—a relatively peaceful post to tide him over until retirement. Instead of finding a sleepy community staring down its own death, Lester finds a friend--a nameless boy with a comic-book obsession--and with that friendship comes a purpose; he must get the boy off the island before it's destroyed. When a mutual friend dies in a gang shooting, both Lester and the boy are drawn into a political plot that no one could have imagined existed on an island as inconsequential as Mancreu. Packed with sharp wit and quick humor, Tigerman will keep readers on their toes. Blink and you'll miss a clever joke or important plot point. Read with a keen eye, though, and Harkaway's novel offers big rewards: a world slightly skewed from our own, and yet still recognizable as the backdrop for a story that asks big questions about parenting, friendship, family, heroes and how to go on living when the world is ending. The resulting novel is a rollick of a read, packing emotion, hilarity and a dose of self-deprecation into a story that is, to borrow a phrase from Lester's young friend, "full of win."